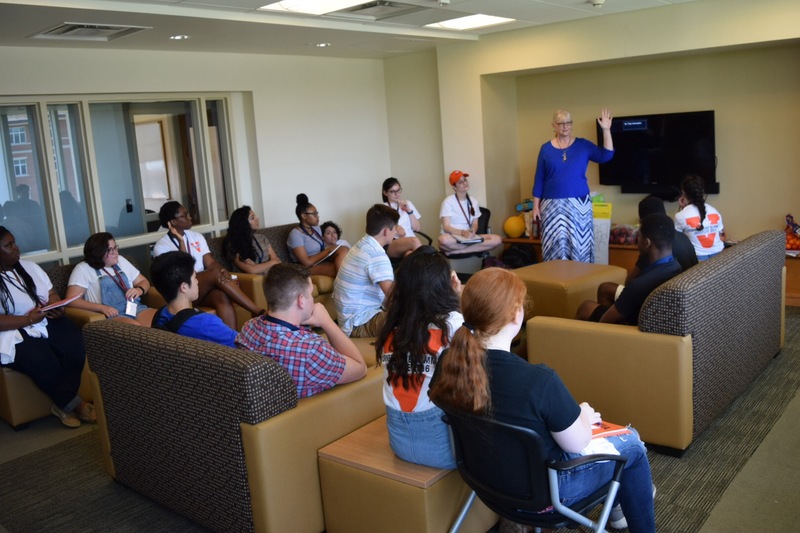 · Inaugural Cornerstone Summer Institute (2016) Was a Smashing Success! Inaugural Cornerstone Summer Institute (2016) Was a Smashing Success! 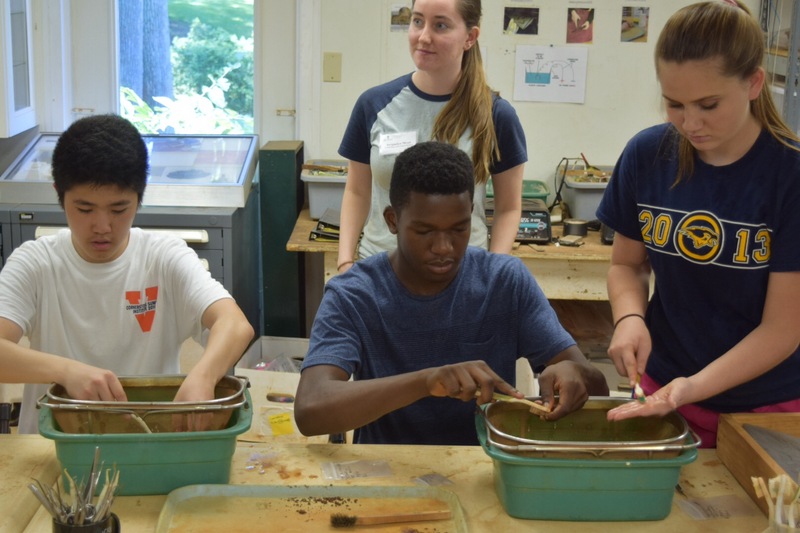 Twenty-two high school students participated in the PCSU’s Cornerstone Summer Institute in 2016. 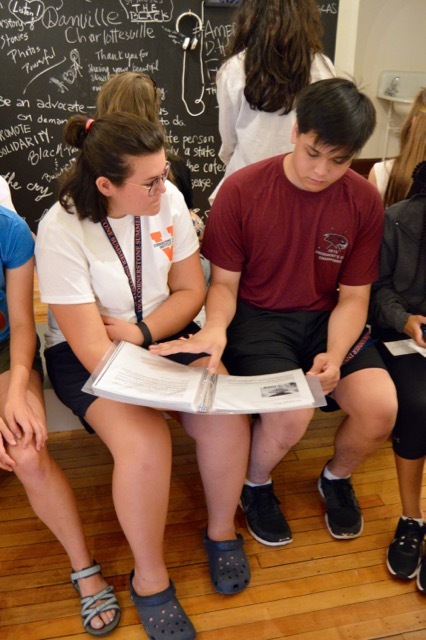 The camp was designed by PCSU Co-Chair Kirt von Daacke and UVA student Alison Jawetz (and implemented with help from several others, including the Office of Diversity and Equity Staff!). 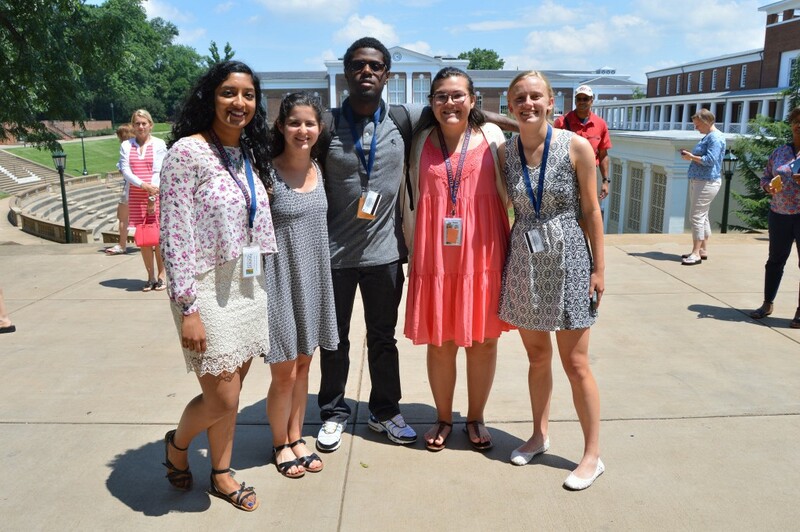 Before the campers arrived, our crack team of student counselors (head counselor Kaitlin LaGrasta and her team: Lanie Cohen, Kat Richardson, Catherine Toro, Emily Uosseph, Millicent Usoro, and Wendy Wright), spent a grueling week in training and preparation–there was so much to learn and do before camp started! 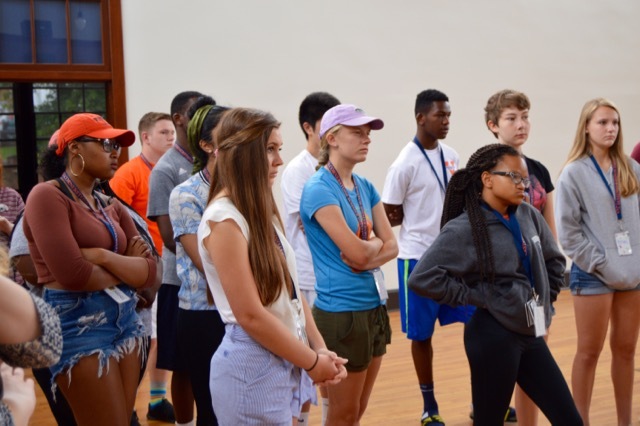 The campers arrived in Charlottesville on Sunday, June 26 and took over a floor in on-Grounds housing. 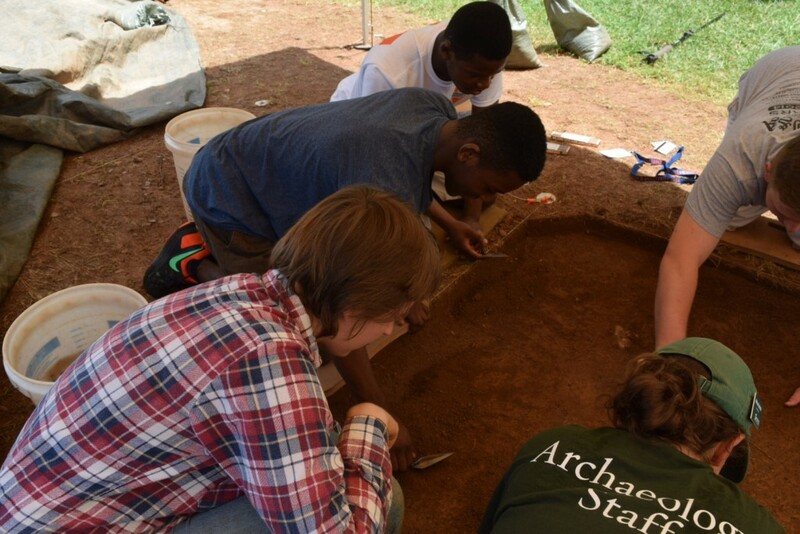 We wasted no time getting them settled, introducing them to the curriculum for the week, and tackling difficult subjects. 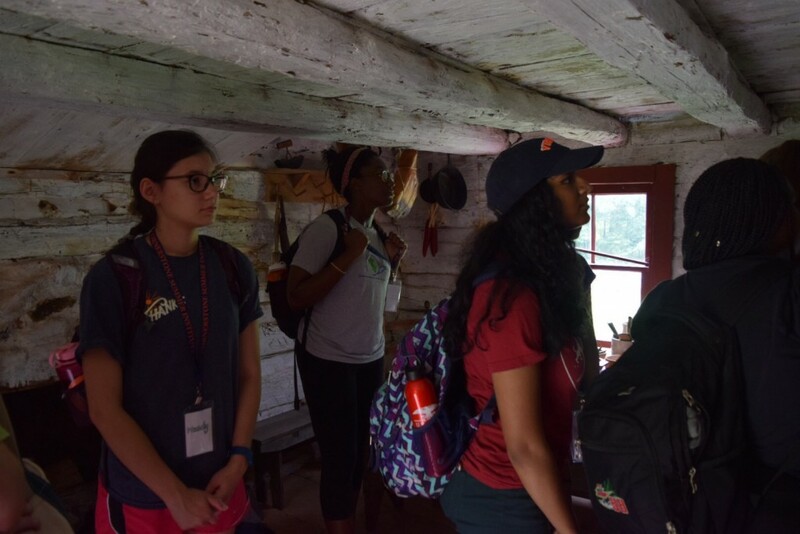 On the camp’s first full day, the students were up and out the door early for a long day of team-building and learning about UVA history. Without leaving Grounds, the campers ended up walking ten miles that day–we finished up on the Lawn at dusk with a historical scavenger hunt and group picture. 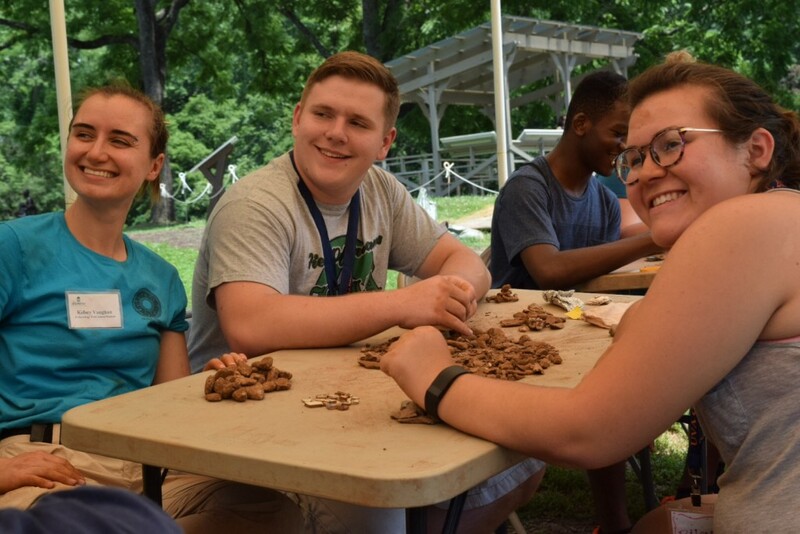 They were exhausted by the end of the day, but it was worth it. 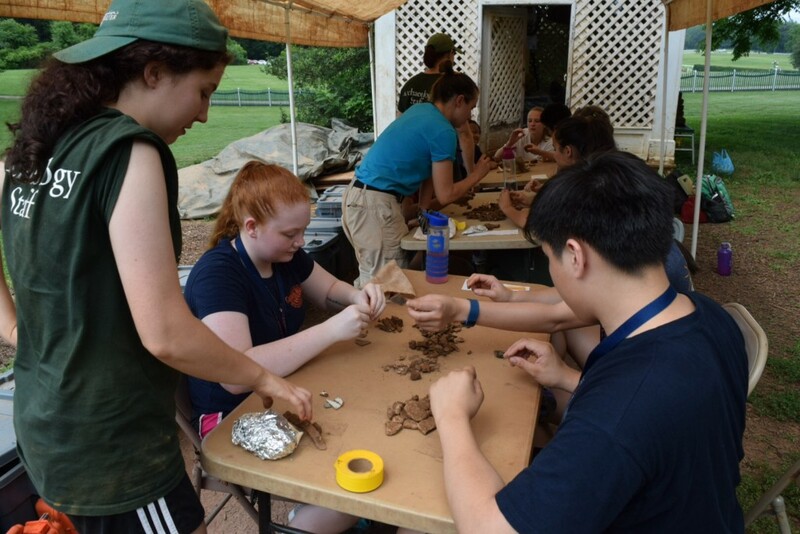 On Tuesday, the second full day of the camp, the CSI students spent the day at Montpelier (Thanks to Montpelier, Archaeologist Matt Reeves, and the entire Montpelier staff for hosting our group for comprehensive tour of freedman’s cabin, Montpelier Station, the house and grounds, a full archaeological dig and laboratory work, and lunch!) 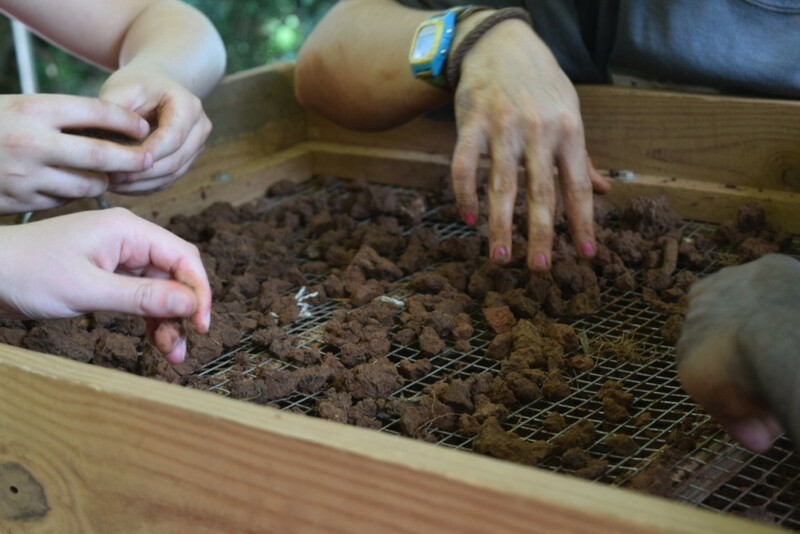 getting dirty and learning about how archaeology promises to “unearth” so much about life and labor in the 19th century. We enjoyed taking a quick break with bronze sculpture of the Madisons reading on their Lawn, but the highlight of the day was surely rolling up our sleeves, getting red clay all over us, and sifting through the dirt in search of buried treasure. 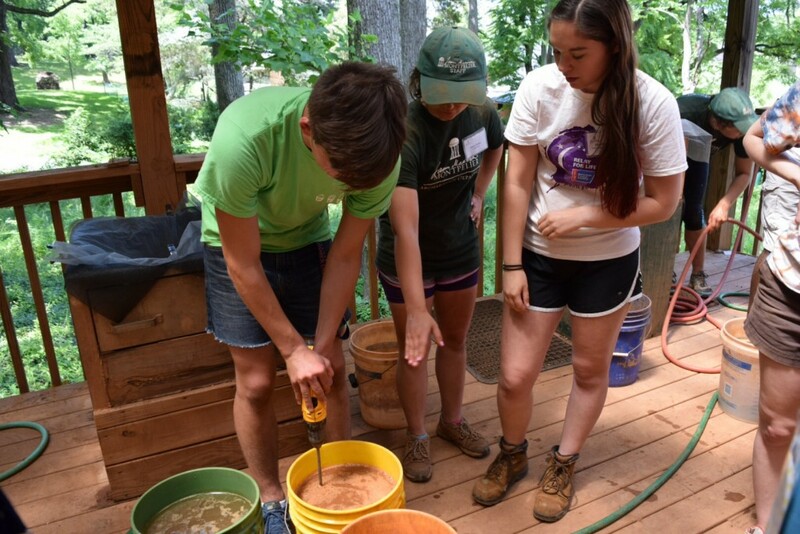 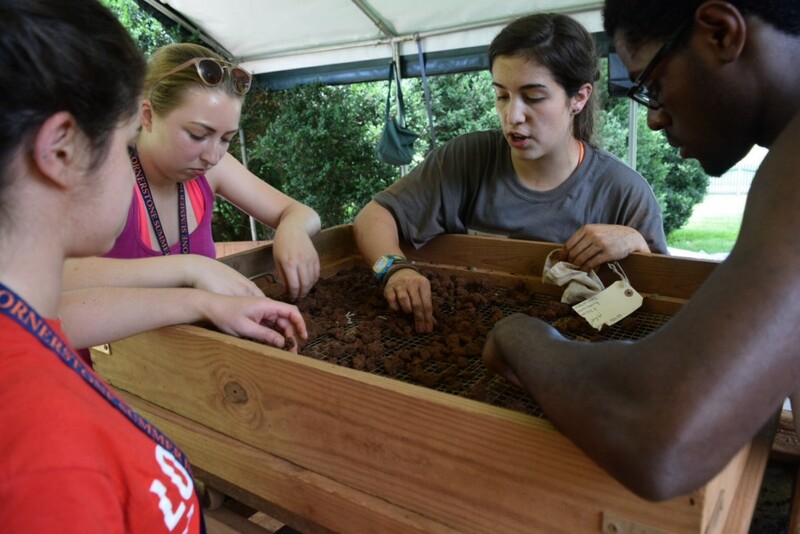 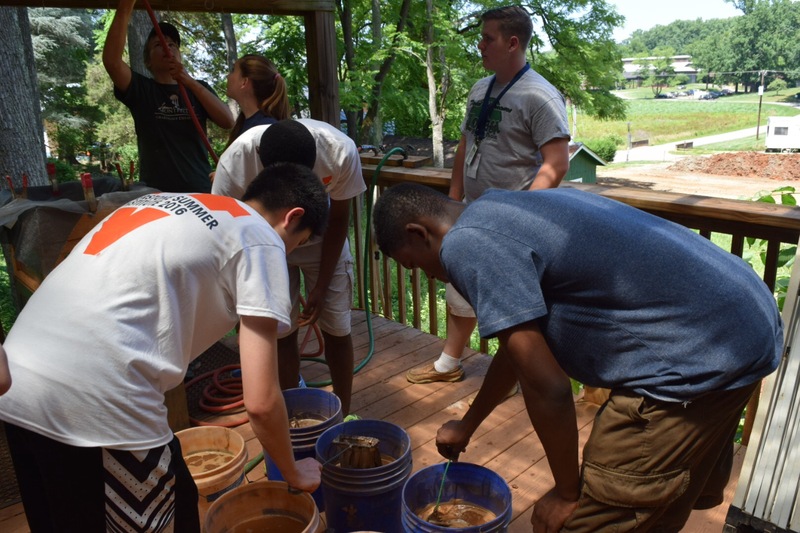 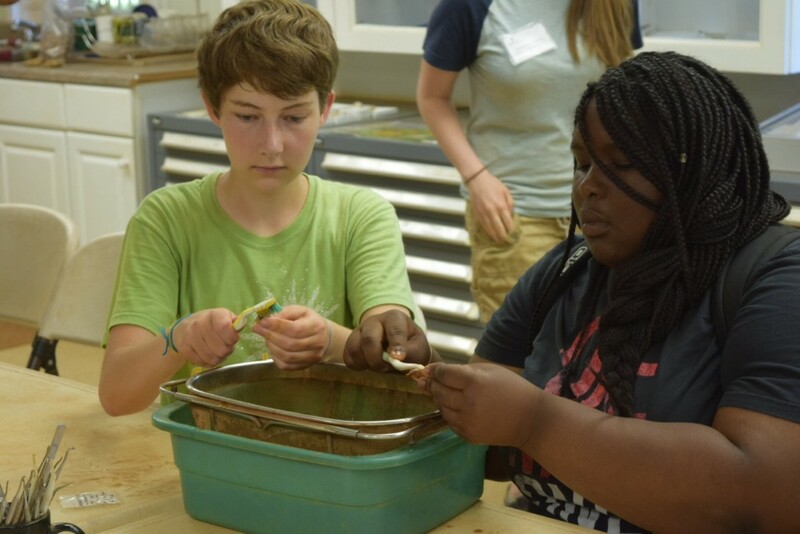 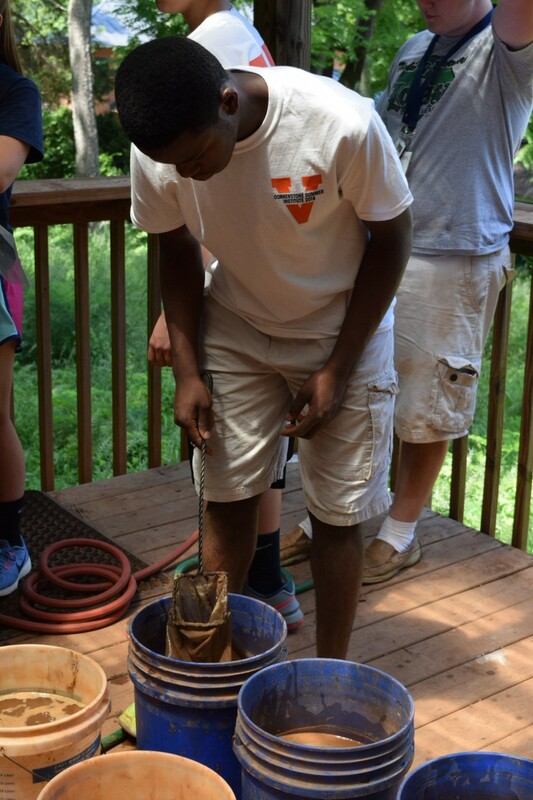 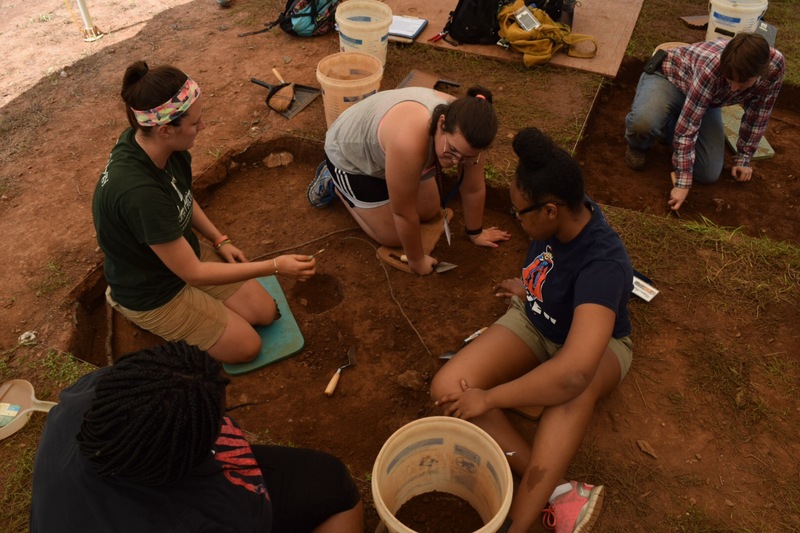 After working through three different stations at the active dig, the campers moved on to the archaeology lab–just add water and we had quite the red clay mess! 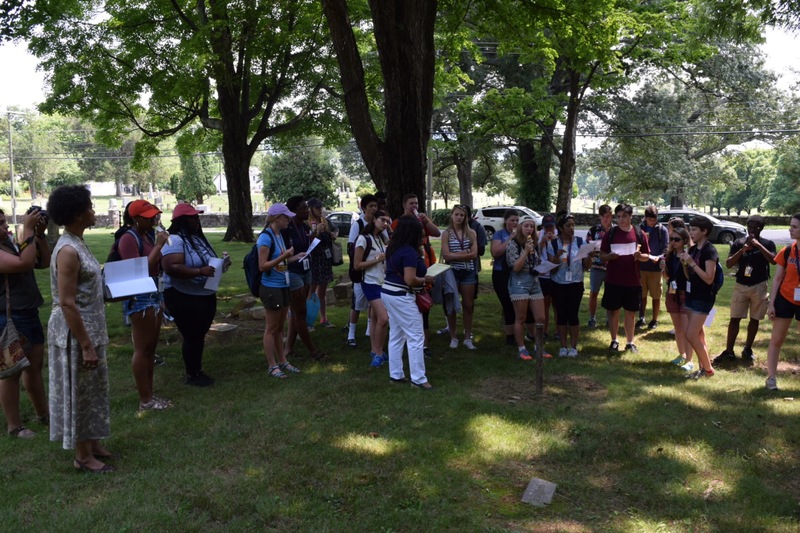 The bus returned campers, counselors, and staff to UVA that afternoon so everyone clean up, get a quick break, and then we headed off to the Fry’s Spring Beach Club for just a little history on slavery and its legacies in Charlottesville (the club was originally a whites-only hotel and spa in the 19th century. 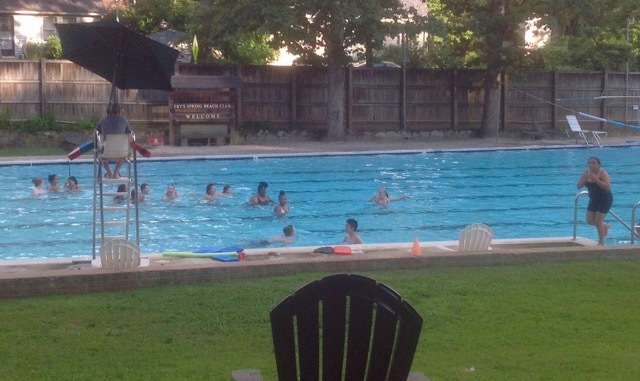 In 20th century, it was a whites-only Jim Crow era pool club. 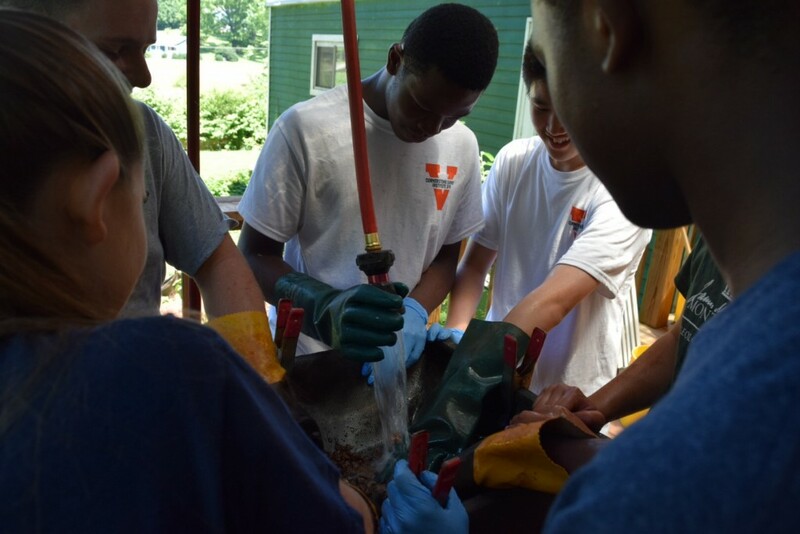 In late 20th century, the pool and facility was saved by the community and now is open to any dues-paying member, hosts open community days, and hosts an annual community festival). 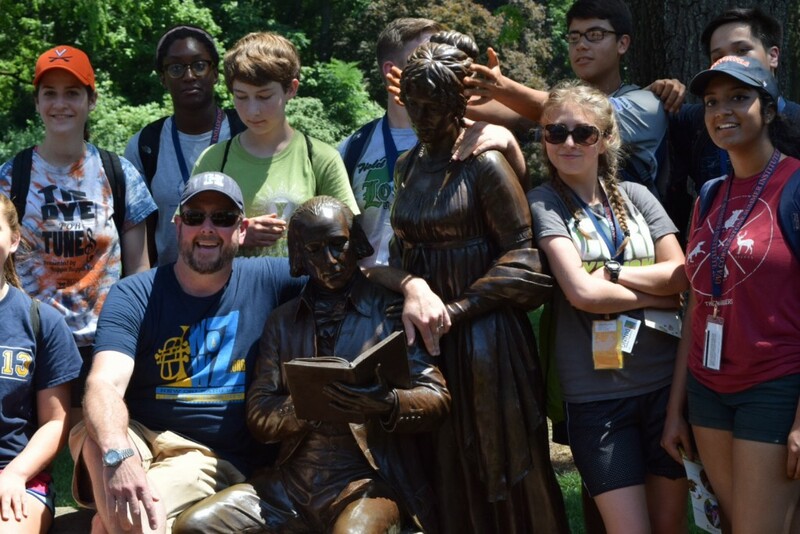 Really, this trip was about relaxing and splashing around in the pool! The next day was another busy one. 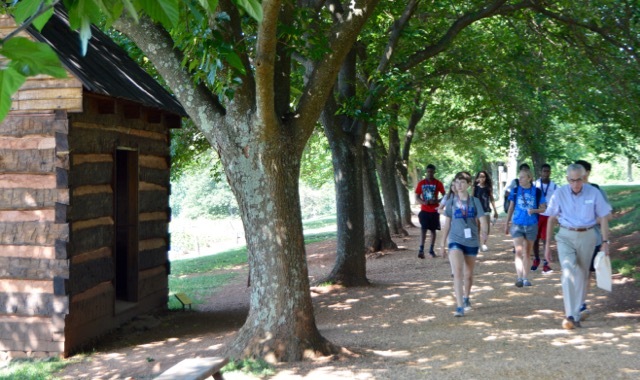 CSI students started the day with a visit to Monticello, the home of Thomas Jefferson. 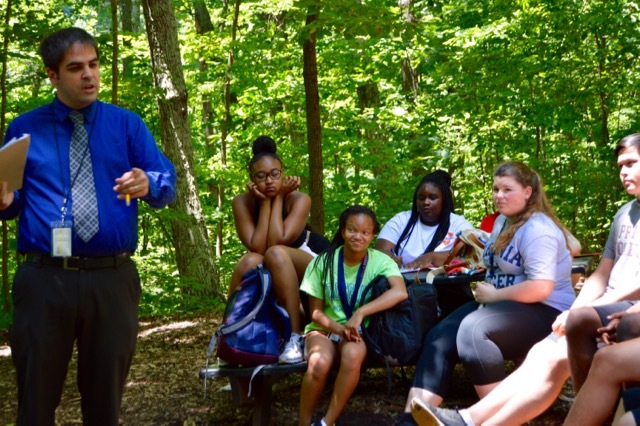 Thanks to Monticello for hosting us and to Brandon Dillard and Steve Light for taking extra time to discuss the challenges of interpreting slavery. 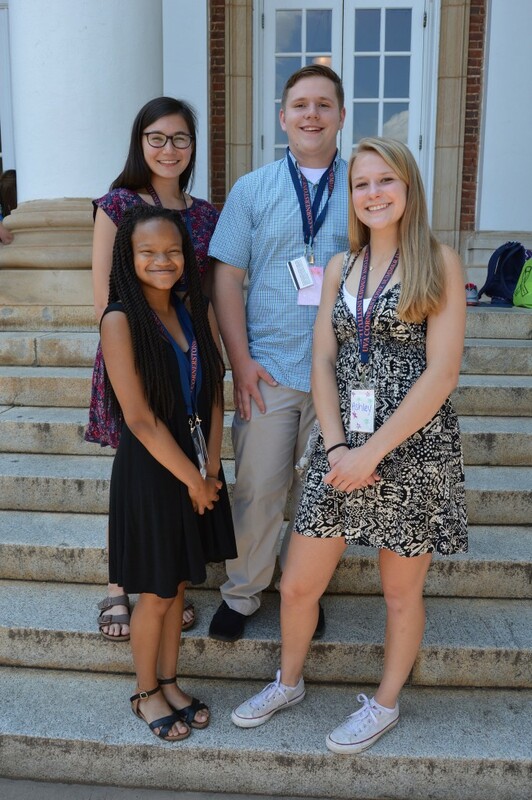 We finished the day back at the University examining all sorts of cool original documents held in the University of Virginia’s Special Collections Library. 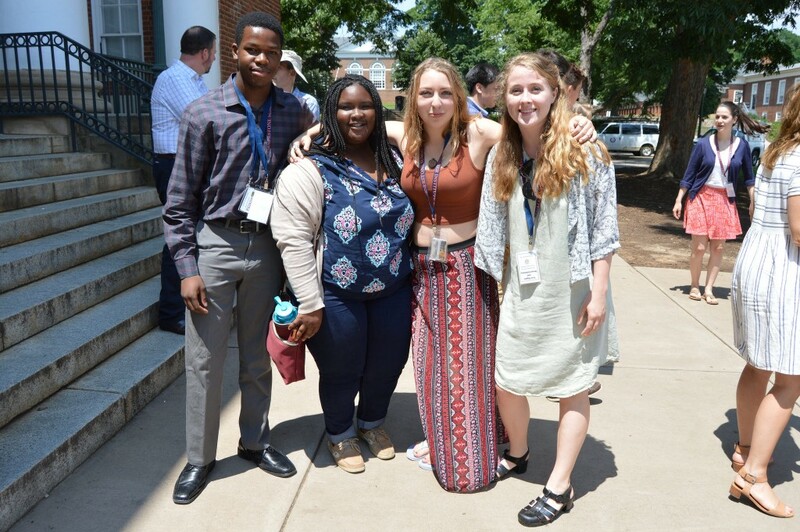 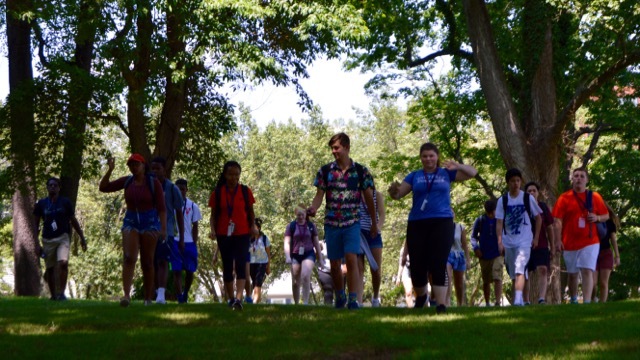 On Thursday, the last full day of the camp, CSI students ventured out into Charlottesville, visiting the Jefferson School City Center and African American Heritage Center. 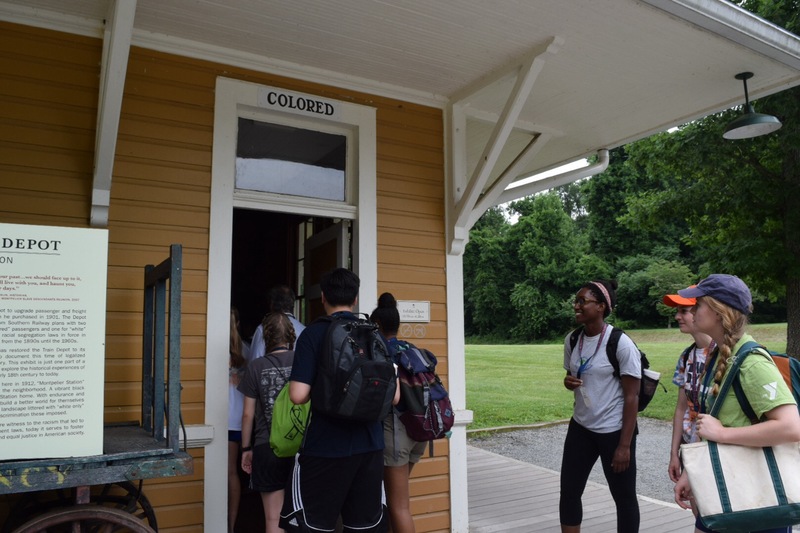 This school was the original Freedman’s school after the Civil War and later became the segregated African American high school during the Jim Crow Era. 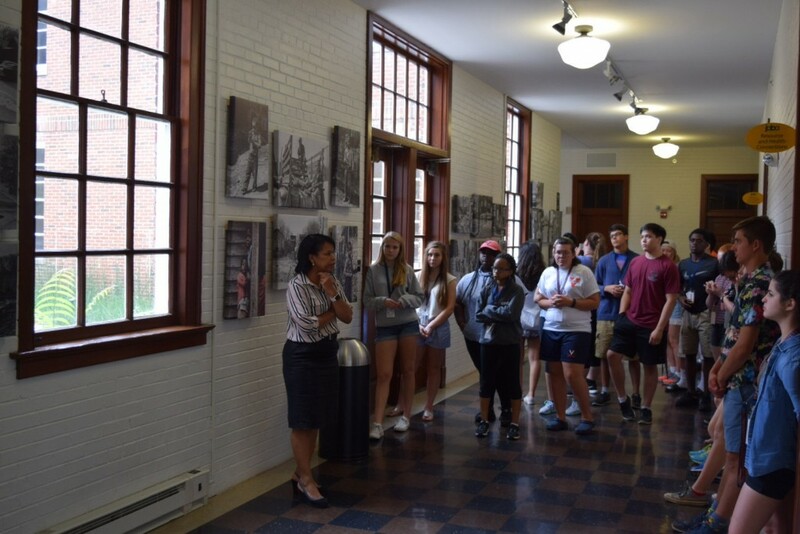 Today, it is a community center and houses exhibits documenting the history of African Americans in Charlottesville and Albemarle County. 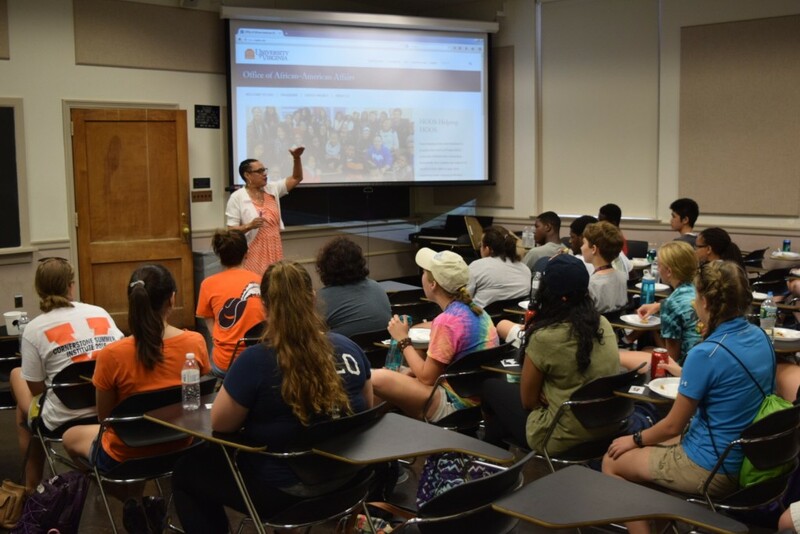 Thank you to Andrea Douglass and the AAHC/Jefferson School City Center for hosting us. 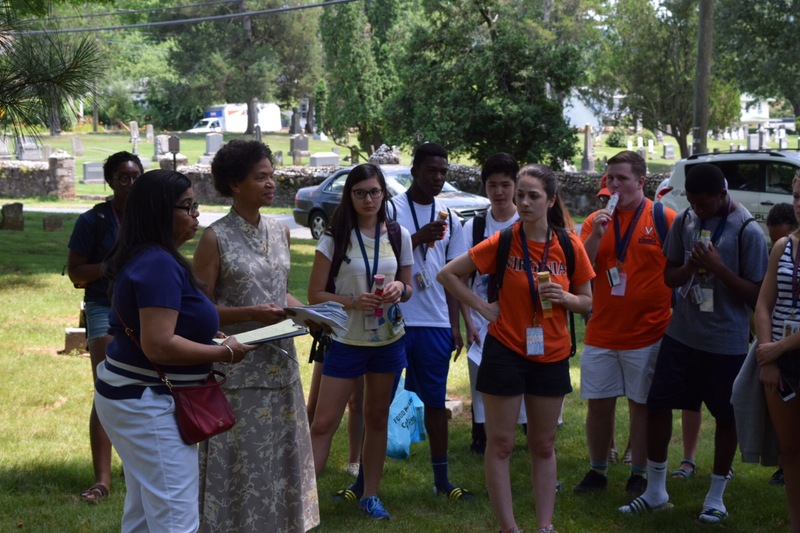 Campers then walked to the Daughters of Zion Cemetery and met with a local community group, the Preservers of the Daughters of Zion Cemetery, who have been working steadfastly to repair and protect the cemetery as well as document the life histories of those interred there. 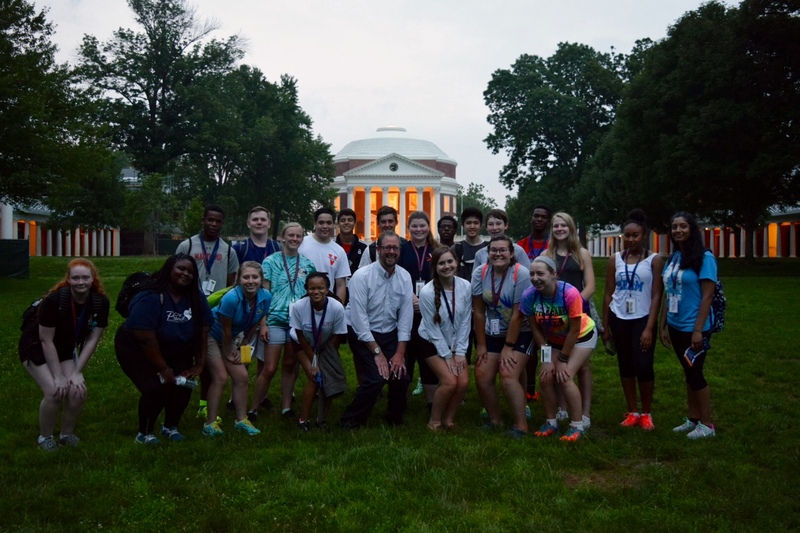 We ended the day with a UVA tradition–a visit to Arch’s Frozen Yogurt on the UVA Corner. On Friday, the inaugural Cornerstone Summer Institute finished up with a public event attended by commission members, anyone in the community, and the families of our campers. 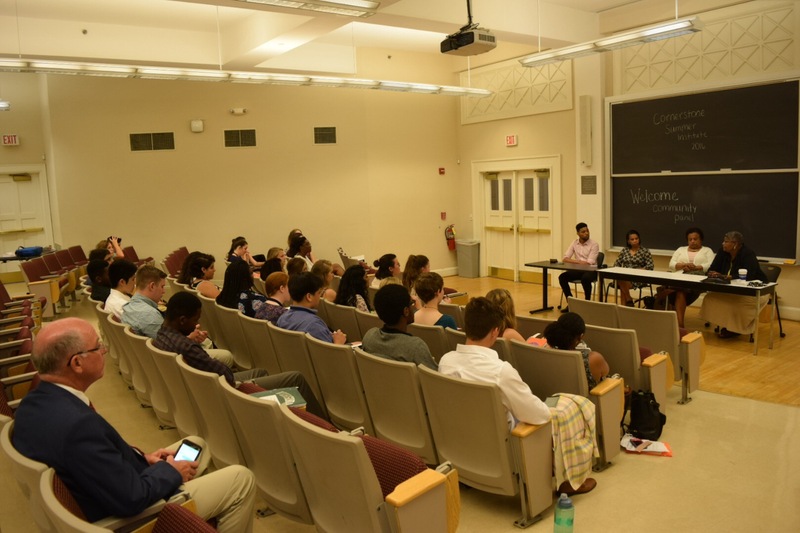 We started with a community panel–the CSI students, after a week of investigating slavery and its legacies at UVA, had great questions for the community leaders who participated in the panel. 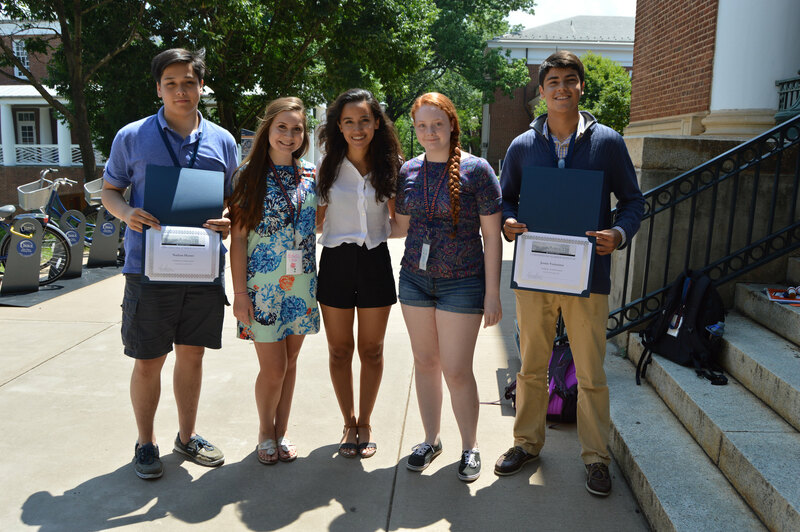 We then had lunch for all in attendance and campers did their final creative presentations. 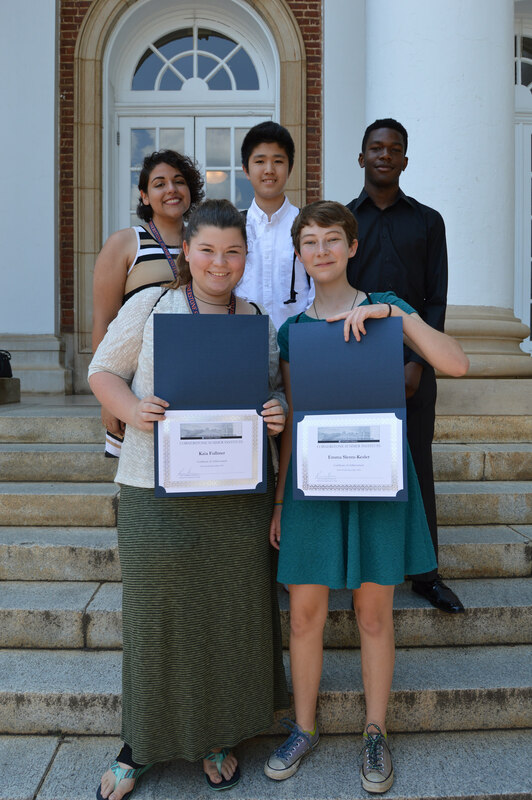 Students, working in teams of three (and only having an hour or two before bedtime each night to work on the projects), put together amazing final presentations that included their own original research, their critical engagement with all they had learned, and some truly breathtaking creativity. 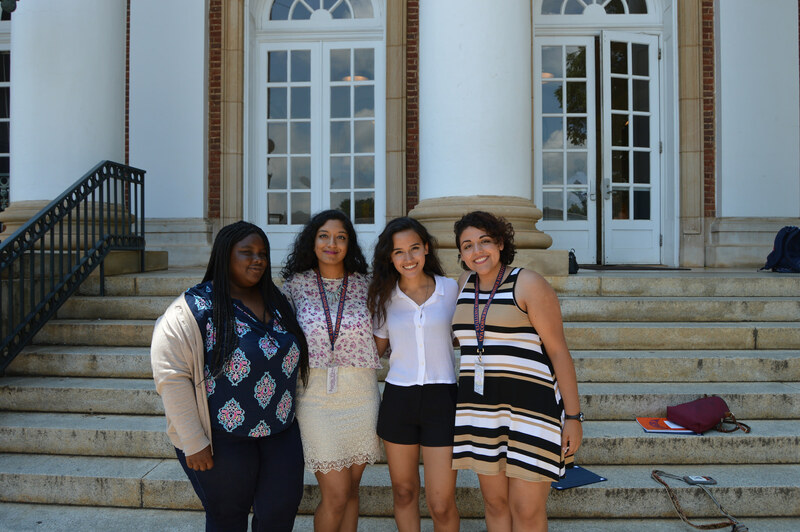 There was poetry, rap, song, a twitter feed, photo essays, and calls for greater action on race and repair at UVA, in Charlottesville, and in America. 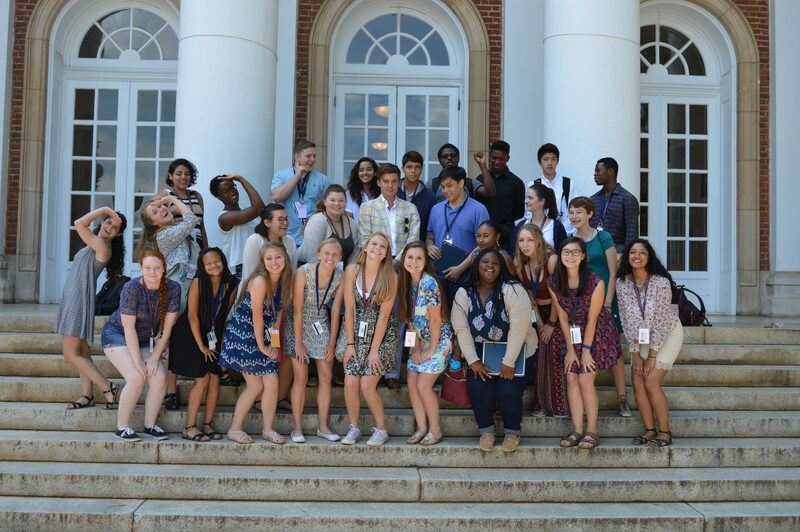 Here’s hoping many of these students return to UVA in the coming years for college and bring their knowledge, leadership skills, and energy with them!